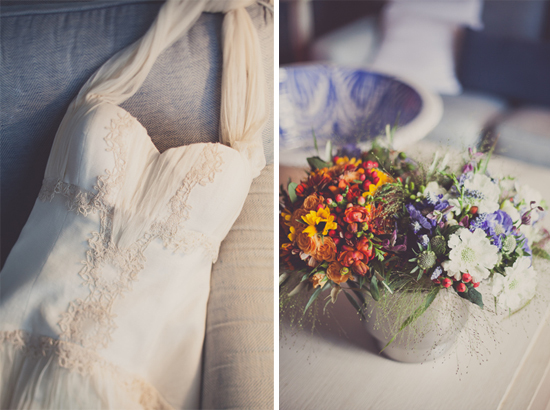 This rustic bohemian coastal wedding – photographed by Linda Arredondo Photography, based in Southern California – took place in the Costa Brava, on the north eastern coast of Spain. The couple used a combination of bright colors and delicate local flowers and herbs to keep with the splendor of the natural surroundings. Her romantic bohemian wedding dress was designed by Jose Ma Peiro. Click here to see more inspiration from this beautiful destination wedding, and for links to the venue and gown designer.